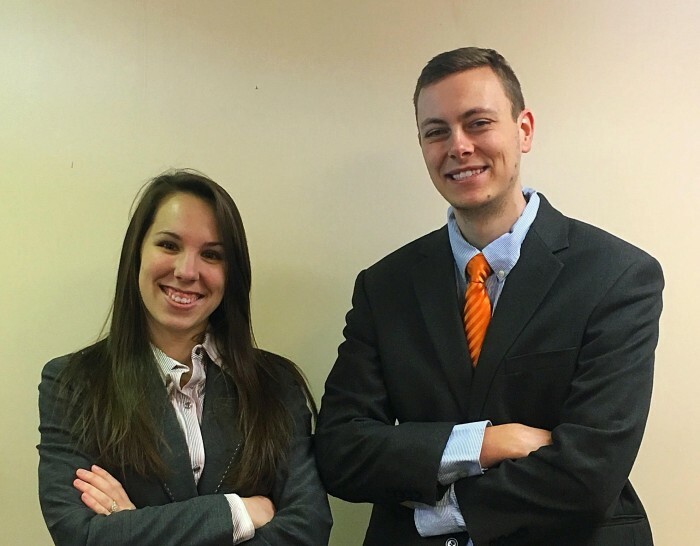 Need professional clothing for an interview or event, but can’t afford it? The Trojan Career Closet can help, for free! Bring your student ID and come “shop” the closet! For more information or to schedule a shopping appointment, contact Amber Wolf at (501) 569-8240 or pantry@ualr.edu . Members of the UA Little Rock campus and the surrounding community are donating gently used business attire to benefit hard working students like you. These items have been cleaned, organized, and made ready to help you dress for success. 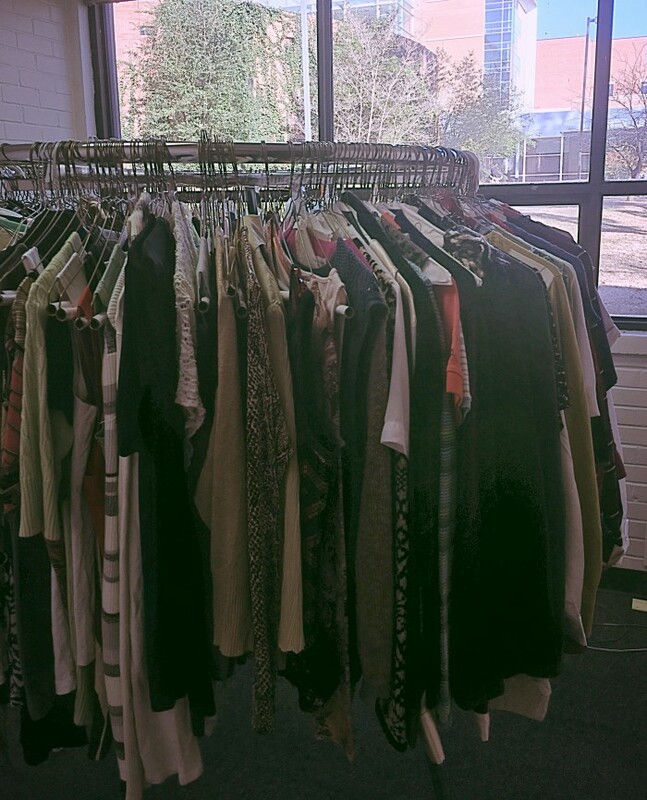 Following its opening for the 2017 UALR Career and Internship Extravaganza, the Trojan Career Closet will be available for students to access by appointment. To set up an appointment for either browsing or donating, contact pantry@ualr.edu or Amber Wolf at 501-569-8240. Q: Where is the Trojan Career Closet? 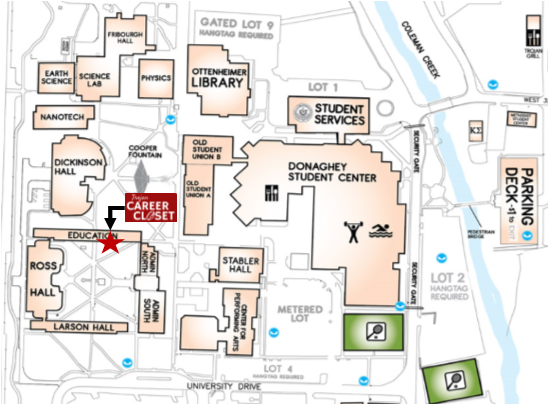 The Trojan Career Closet is located in rooms 102 and 103 of the Education Building, next to the Career Center. Staff is located in Administration North on the 2nd floor (next door to the Career Closet). The average student attends several interviews throughout his or her college and professional career. Many students find it difficult to afford attire for interviews, while others are misinformed about what is appropriate attire. In the spring of 2016, the Division of Student Affairs, College of Arts, Letters, and Sciences, and College of Education and Health Professions worked together to create the Trojan Career Closet, whose mission is to encourage students to be career-focused and to dress for professional success. During the 2016 spring semester, one-hundred and fifty students earned the opportunity to “shop” through attending a career-focused workshop. 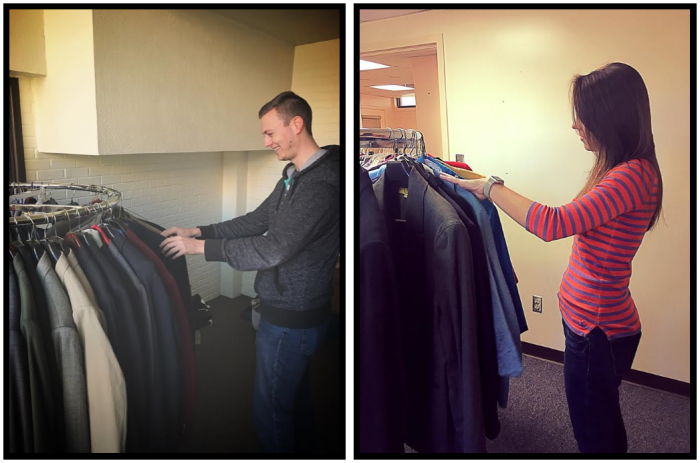 Community, Careers, and Extended Education assumed responsibility for the Trojan Career Closet in spring 2017. Drop off clean, gently used business attire at collection sites across campus. Check the list of approved items above! If you need a tax receipt, drop off your donation at the Chancellor’s Leadership Corps (CLC) office in Administration North on the 2nd floor. We will complete an “In-Kind Donation Form” and send you a receipt. Oak Forest Cleaners (Fair Park), Buckle, Belk, Kohl’s, and Mayflower Transit, LLC. The Trojan Career Closet appreciates the support it receives from sponsors and community partners. If your business is interested in becoming a sponsor, please contact Amber Wolf at 501-569-8240 or at pantry@ualr.edu.